‘Tis the season! The holidays are here and it’s time to celebrate with family and friends. That means throwing at least a party or two, and possibly hosting a holiday meal. When it comes to your tablescape, Susan, our floral department manager at the Burnside Zupan’s, has some fantastic tips for making a statement without investing a lot of energy. She’s a fan of simple, elegant arrangements that compliment a table rather than stage a takeover—and berry branches are one of her favorite tricks for creating instant ambiance in a room. 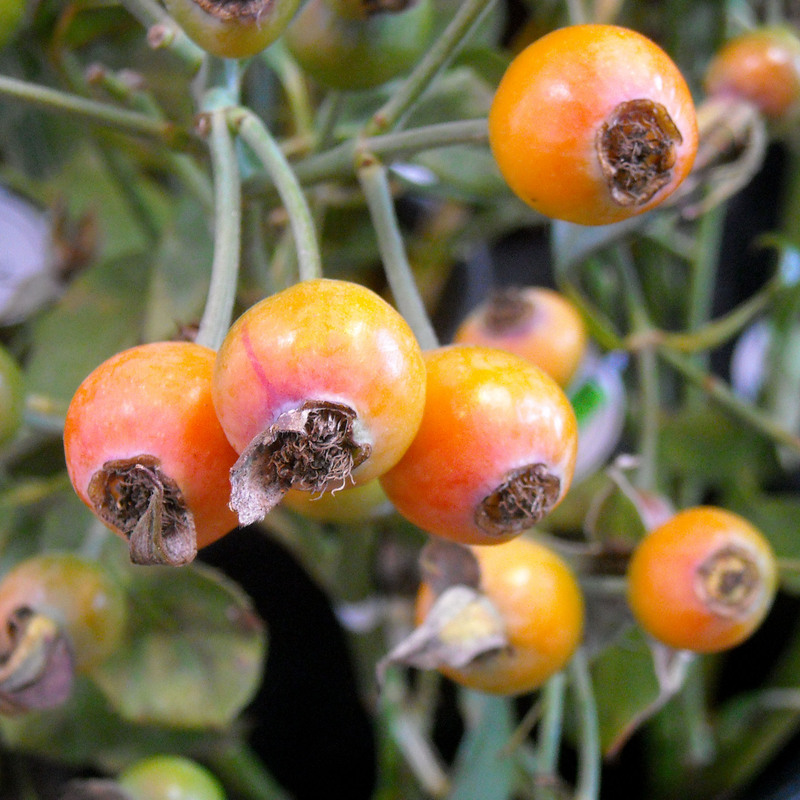 Some of Susan’s preferred local varieties of berry branches are Ilex berries, pumpkin berries, bittersweet berries, rose hips and gorgeous purple Callicarpa berries. 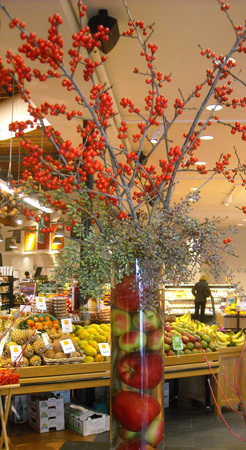 She fills a tall, cylindrical vase with apples, pomegranates (cut in half, so you can see the beads inside) or persimmons and uses the berry branches to complete the piece (you can also add willow or dogwood branches). The result is quite striking—and this arrangement is both hypoallergenic and long lasting. If you have your menu down, but need some inspiration for your centerpiece, head in to your neighborhood Zupan’s and check out our European style floral market. Our staff is always willing to help you with a full arrangement, or suggestions on how to create the perfect piece for your home. From our table to yours—Happy Holidays! A very pretty arrangement! Bravo!